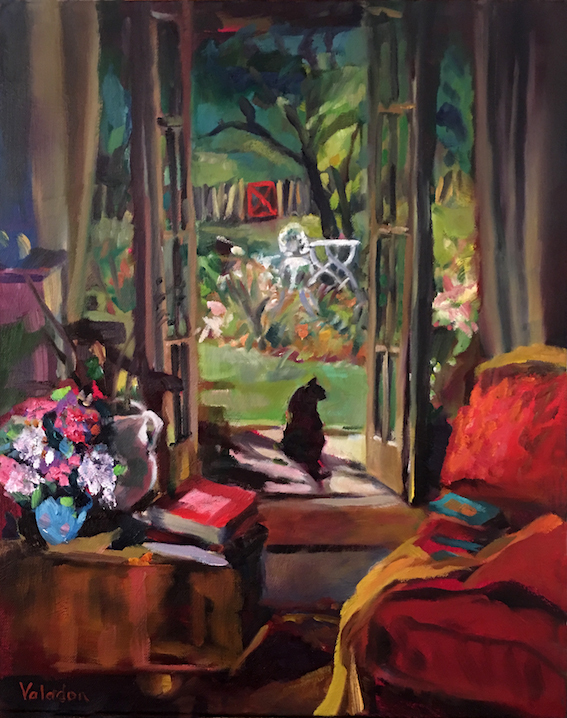 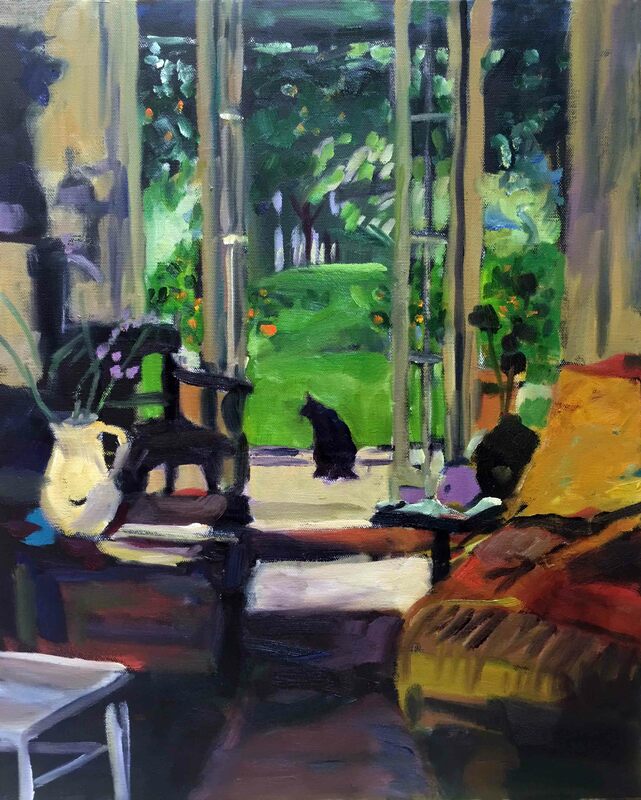 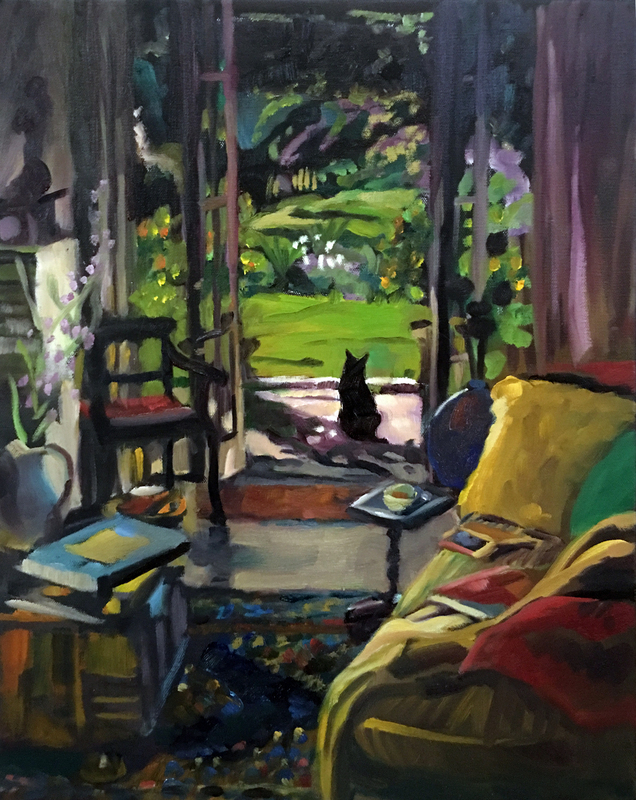 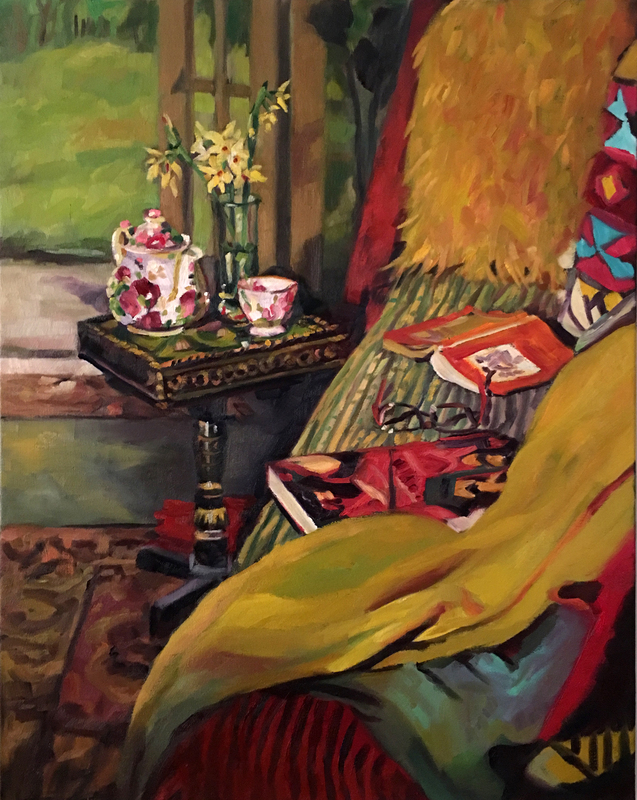 This much-awaited exhibition features recent major works of Rosemary Valadon’s private world, unveiling the interiors of the artist’s mind, guiding our eye through patterns, light and the rich colours of personal objects and furnishings in her creative space and studio. 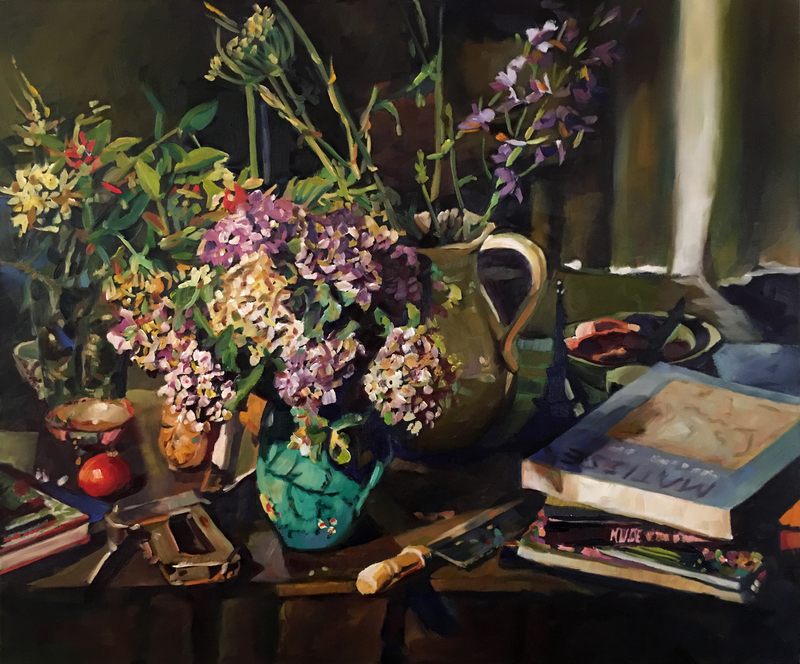 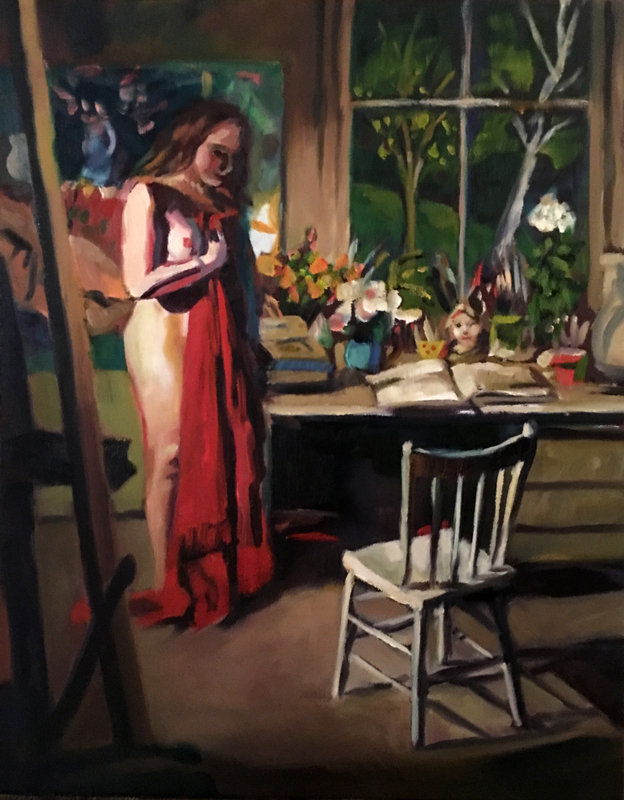 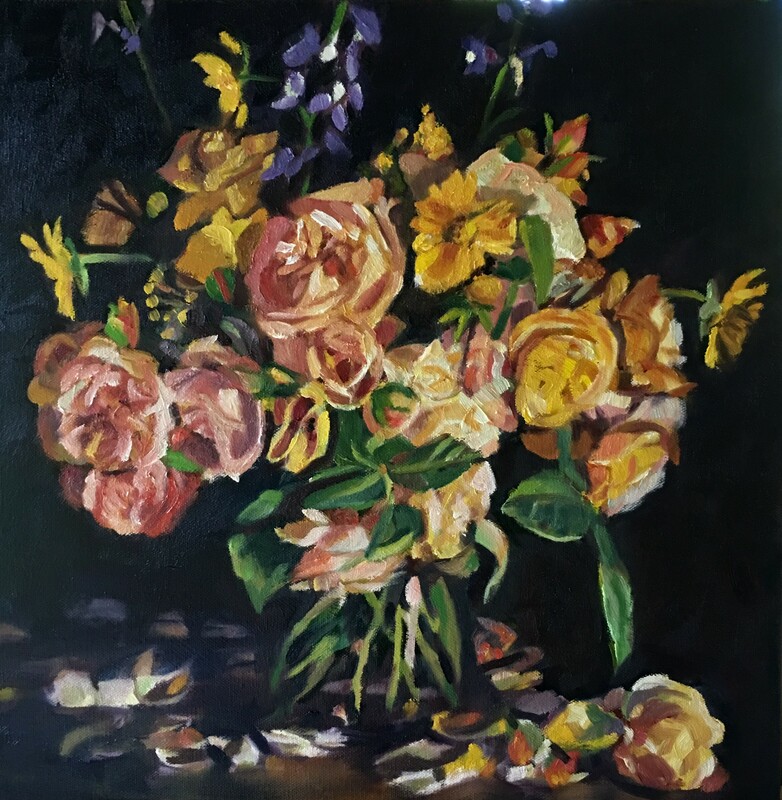 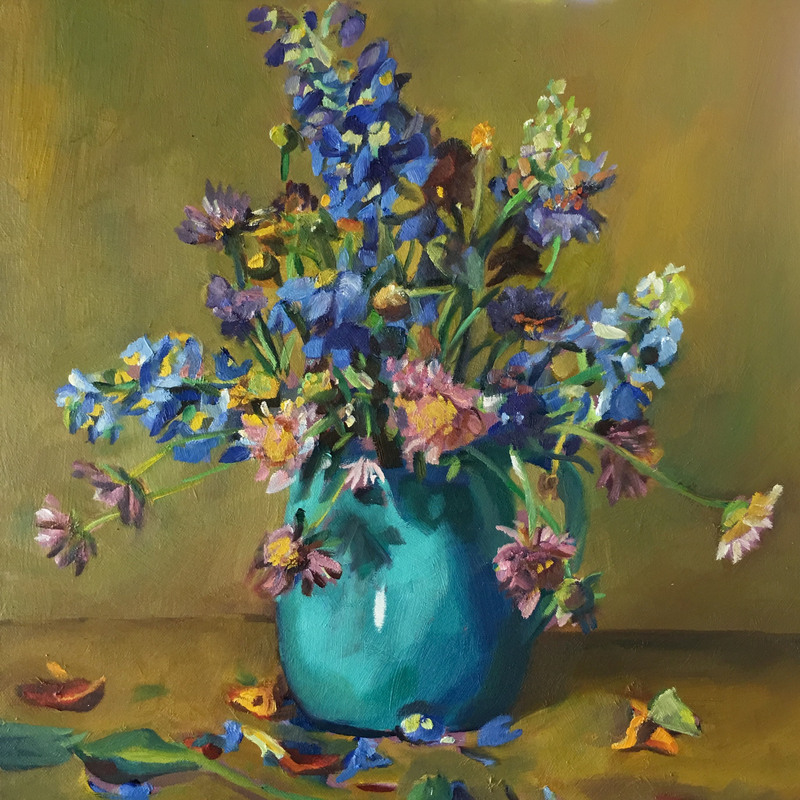 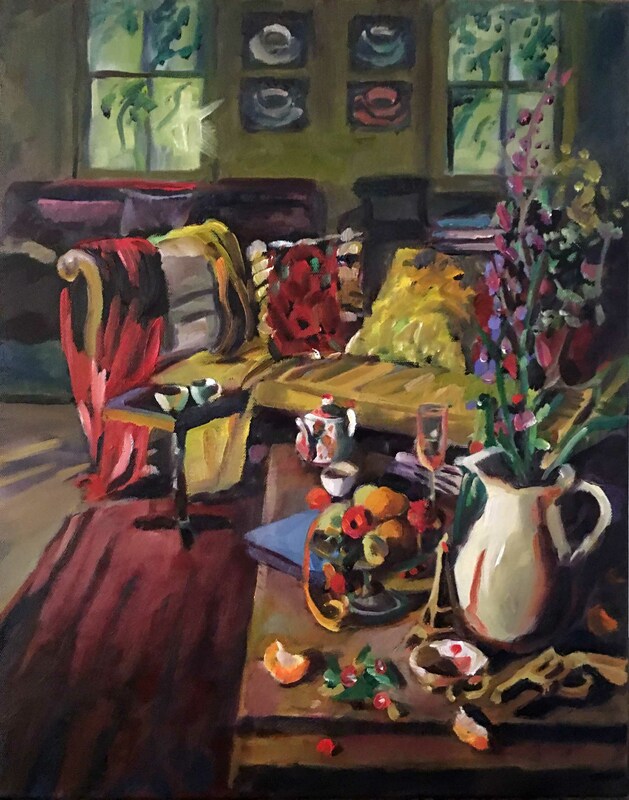 Interiors, Valadon’s debut solo exhibition at Wagner Contemporary, follows her participation in the landmark exhibition of still life and interiors at Orange Regional Gallery (2018) (curated by Gavin Wilson) and the ABC documentary "Rosemary Valadon: A Sensual World" (2017), which explores the artist’s approach to subject and technique, following her life in the artistic community of Hill End where her studio is located. 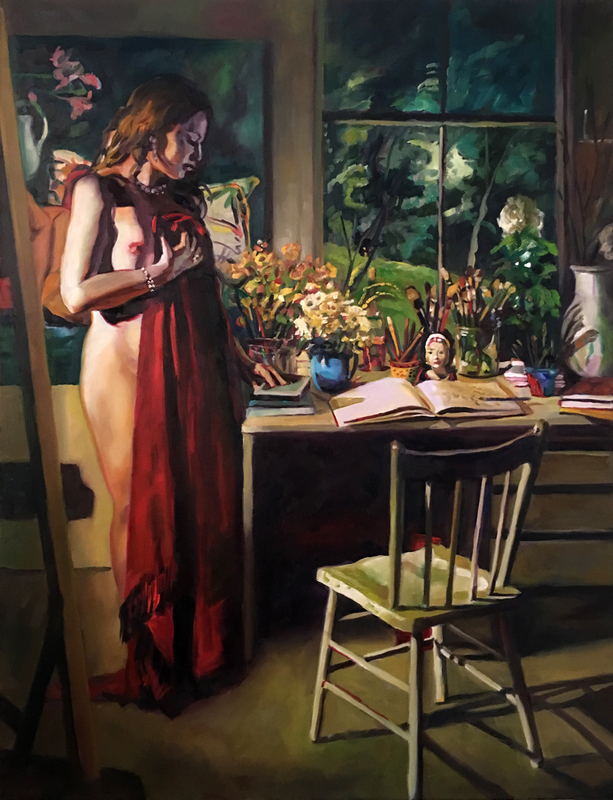 While this new collection of paintings draws us deeper inside Valadon’s inner world through each individual tableau or visual diary, an intimate engagement with the artist’s relationships and form invites a visceral experience - or physical sensation - of travelling through the portals of an interior space alive with energy, colour and beauty. 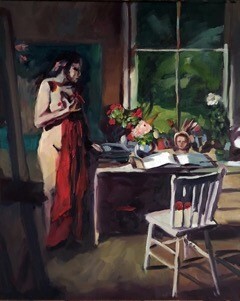 In this interaction, you can almost touch the objects, smell the flowers and stroke the fabrics and patterned material. 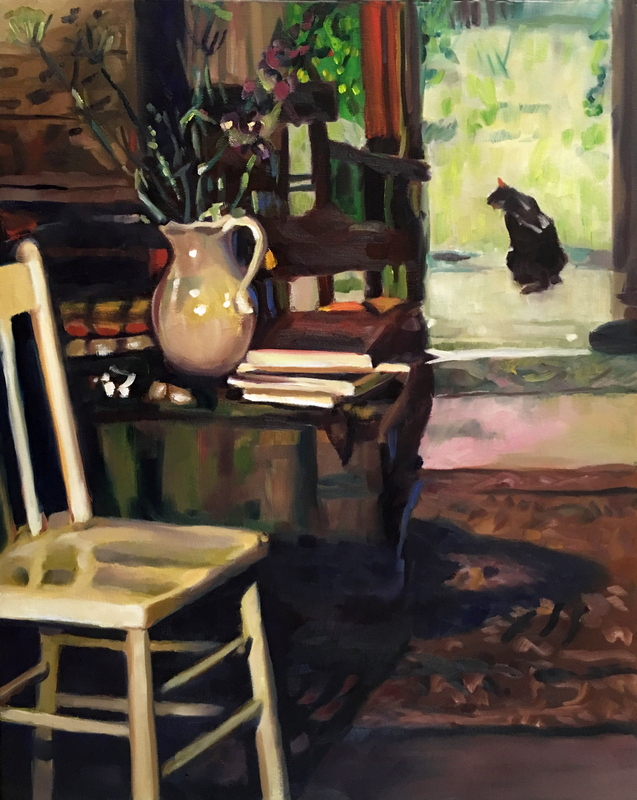 Valadon’s paintings make connections between the paradoxical realms of interior and exterior, public and private and past and present, gently evoking a sense and feeling of time passing, along with emotions that give rise to an awareness of loss. 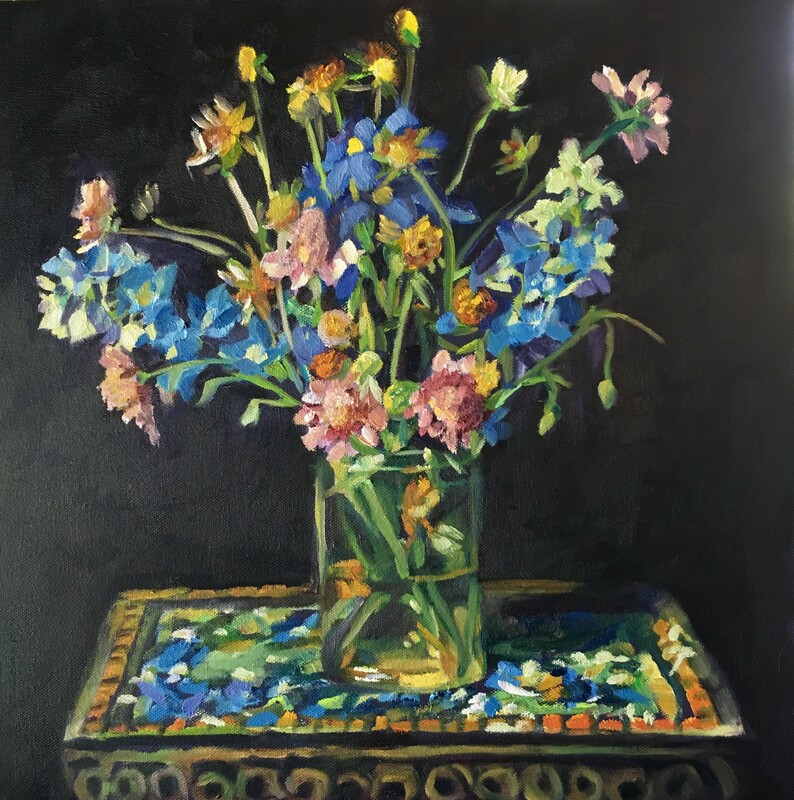 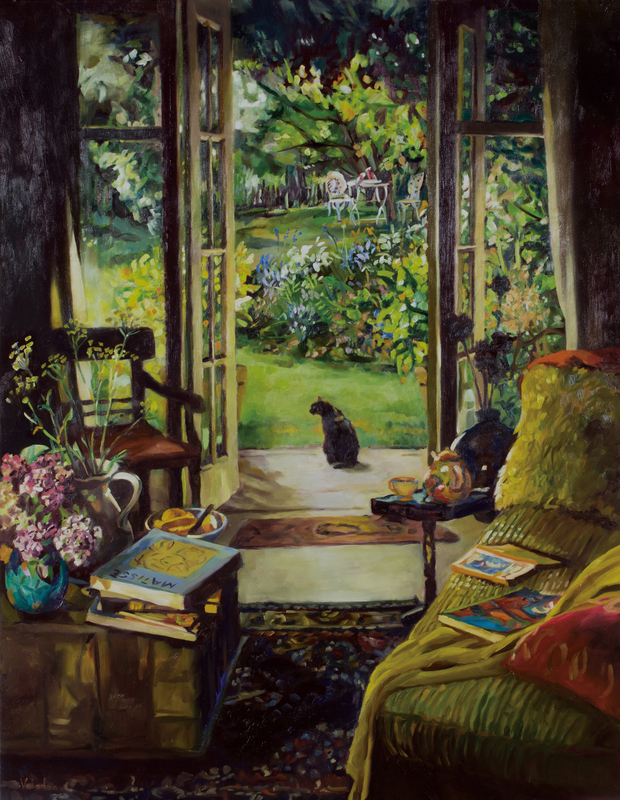 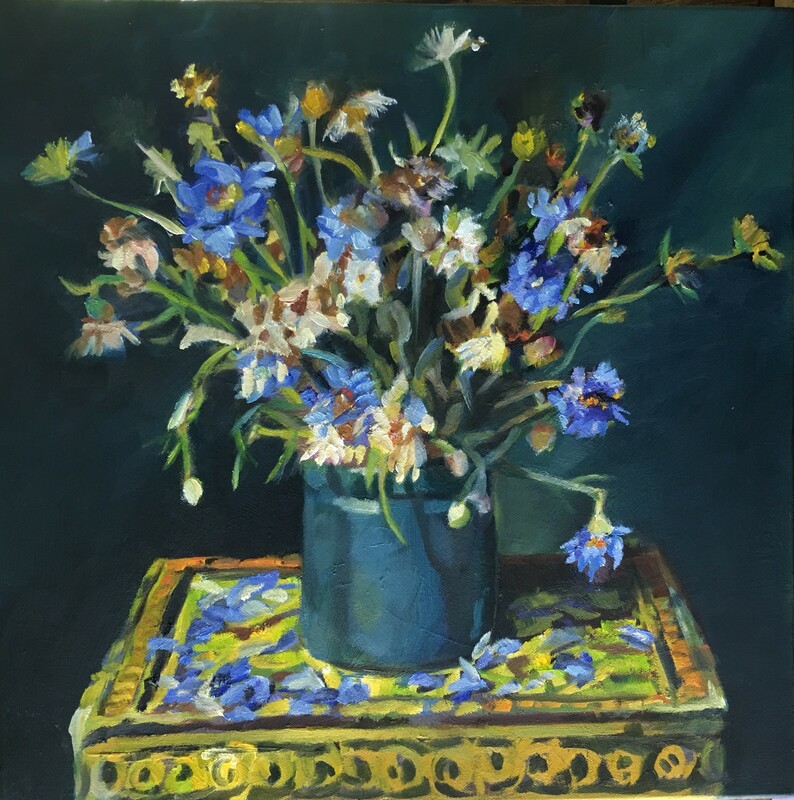 A sensitivity towards the effects of transience is captured in her glorious paintings of the season of Spring and delicately painted flower tributes in the sequence, Ode to Margery. 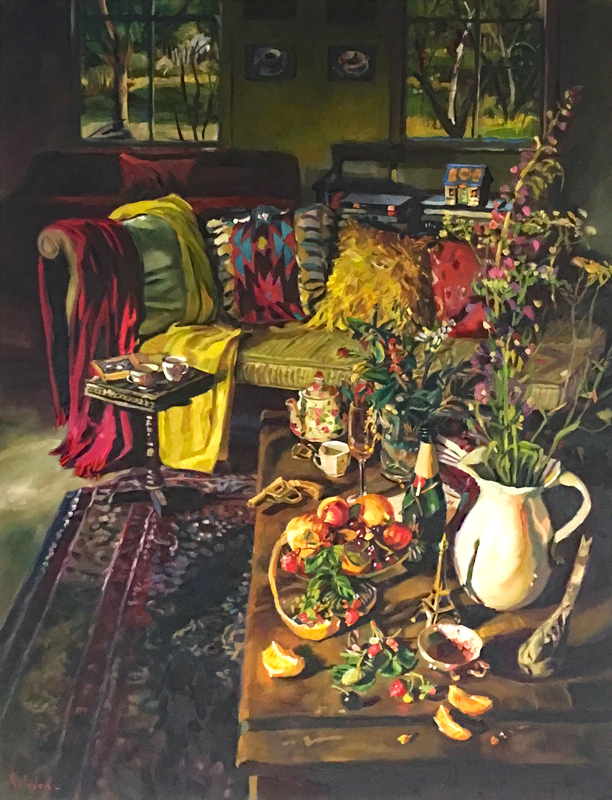 Rosemary Valadon is a past winner of the Portia Geach Memorial Prize and Blake Religious Art Prize. 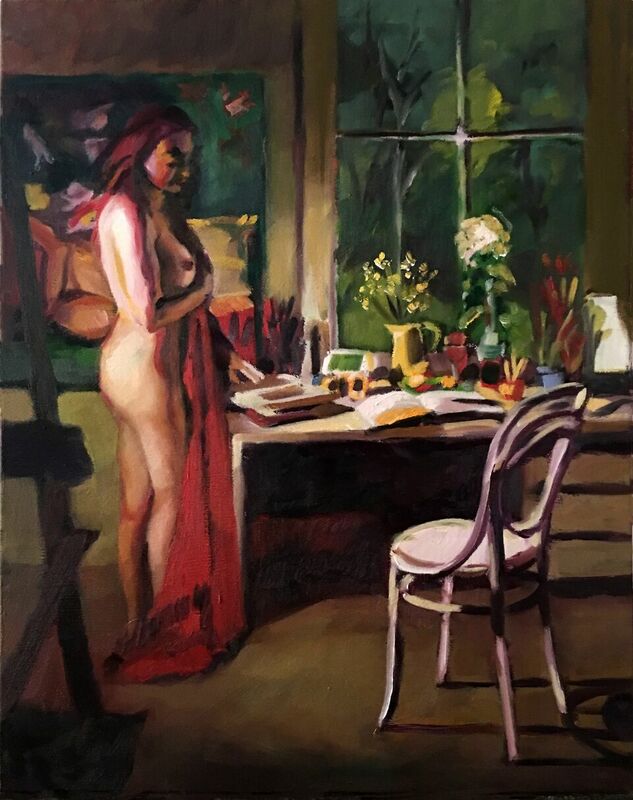 Her work is regularly selected for major awards, most recently the Ravenswood Australian Woman’s Art Prize (Finalist, 2017) and the prestigious Archibald Prize at AGNSW (Finalist, 2016).